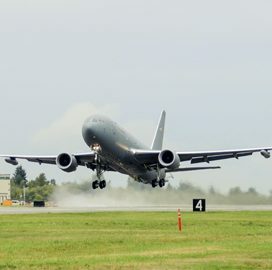 The U.S. Air Force resumed acceptance of Boeing-made KC-46 Pegasus tanker aircraft after a nearly month-long delivery halt caused by debris found in one of the units, Reuters reported Tuesday. Rose Riley, a representative of the Air Force Air Mobility Command, said in a statement that the service branch will continue to accept deliveries as Boeing inspects each aircraft as part of a corrective action plan. 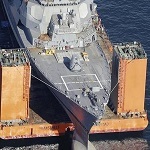 Officials said the issue is attributed to the site where the aircraft undergoes construction and not to the unit itself. Boeing is responsible for delivery of 19 KC-46 low-rate production units to the Air Force under a $2.81B contract modification.